Each year, the Independent Games Festival (IGF) holds a prestigious awards ceremony celebrating the best in indie games. And with the 18th annual festival taking place at this year’s Game Developer’s Conference, it’s also nice to see that quite a few award nominees have Kickstarter roots. With that being said, I decided to weed out all six IGF 2016 finalists (plus a bunch of honorable mentions) that used Kickstarter to… Err… Kick-start their projects. Here they are, listed in no real order whatsoever because that would be plain boring. Dark, twisted, ironic and full of psychological horrors. 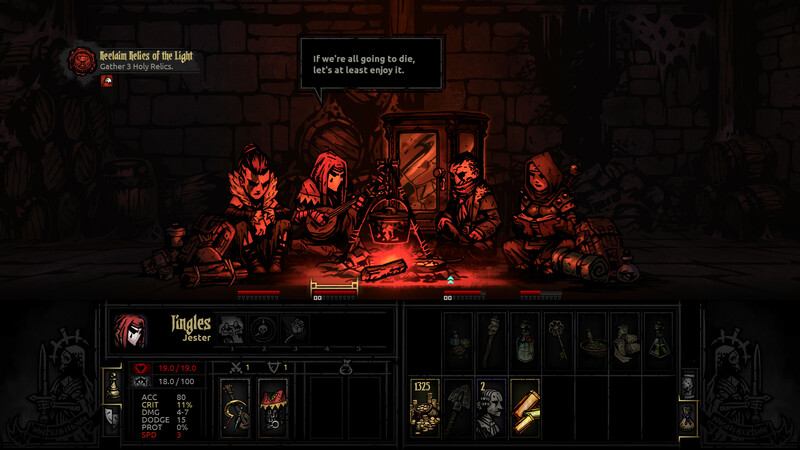 Darkest Dungeon was one of my most anticipated games of 2015 simply due to the way it looked, plus the fact that the narrator sounded pretty cool during trailers (as you can see, it only takes a little to get me excited). Still, the game’s best strength arguably lies in making players suffer the same way as their party does – a rare thing most games struggle to achieve. Yeah, now that I think about it, the main appeal is simply the sheer amount of rage-inducing insanity the game forces upon you, and that’s just great. Why I think it’s an IGF finalist: Honestly, I don’t think it’s anything more than an incredibly robust concept mixed with impeccable graphics. As it is, the game is incredibly polished for being in Early Access state, although I really hope it comes out of it sooner rather than later. It’s also prone to constant replaying and strategizing while also falling under the “YouTube/Twitch bait” category. Nominated in categories: Seumas McNally Grand Prize, Excellence in Visual Art, Excellence in Audio. One of the weirdest, most unique first-person shooters I’ve ever played, mainly because time moves only when you do. Sure, it’s a one-time gimmick, but one that is also kind of genius. 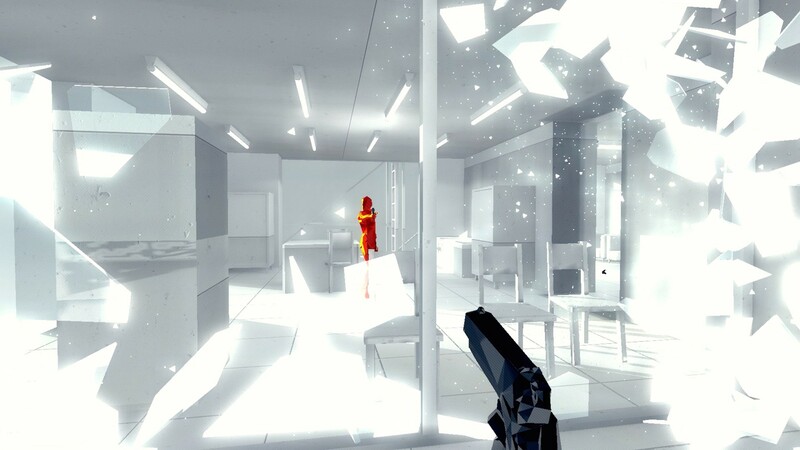 It involves lots of bullet dodging, slow-motion glass breaking and hilarious moments that really make you feel like the most epic assassin/secret agent/time-bending person. It’s not out yet, but you should seriously go and play the prototype here. Why I think it’s an IGF finalist: For me, this is simply an example of a game that doesn’t try to be anything fancy other than being a plain fun interactive experience. No pretentious sub-context or trying to change games into another direction – it simply makes you feel like you’re controlling Neo from the Matrix. And hey, sometimes the simplest things are the best. Also it’s SUPER HOT. Nominated in categories: Seumas McNally Grand Prize, Excellence in Design. 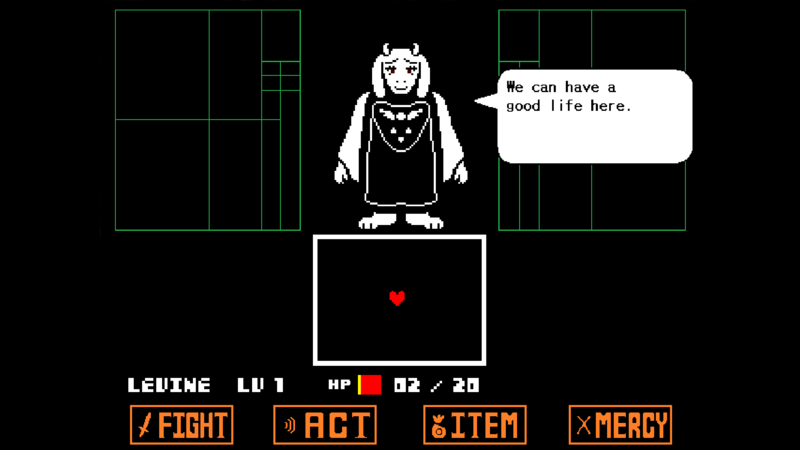 Ah, Undertale – almost everyone’s game of the year, it seems. It really is a rare thing to encounter, a game that surprises players in so many ways. Developed solely by the incredibly talented Toby Fox, Undertale is one of those rare exceptions in which looks are more than deceiving. For me though, Undertale is the perfect representation of adding meaning to mechanics, much like Brothers: A Tale of Two Sons did. While it manages to touch on some rather tricky subjects it is also a game that turns killing into an act worth thinking about, all while also managing to deliver actual quality humour in a video game. Was that even possible!? Why I think it’s an IGF finalist: This might sound cliche at this point, but Undertale could very well be the game that innovated the most in 2015. It showed us that carefully thought-out short games are still viable, perhaps even the best at telling genuinely good stories. Although highly subjective, the game’s soundtrack is also incredibly catchy and well-put, to the point where some tracks have the potential of ending up as iconic tunes in the near future. Nominated in categories: Seumas McNallyRaised Grand Prize, Excellence in Audio, Excellence in Narrative. This was perhaps the most unknown game on the list for me, personally. Yet, despite the fact that it totally slipped under my radar it seems that it’s yet another game that continued to flourish on Early Access after its crowdfunding success, on top of being one hell of an addicting tabletop simulation. It has cards, RPG elements , faction intrigue and can be played by 4 players. Oh, and its cinematics are truly stunning – I’m talking Studio Ghibli levels of awesomeness. 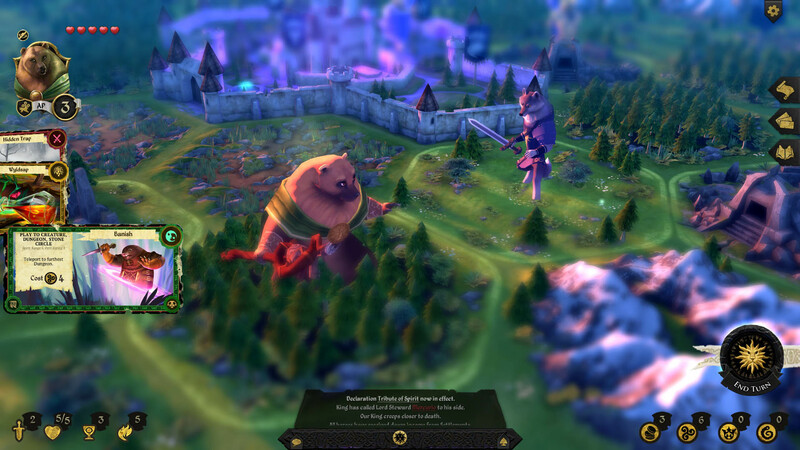 Why I think it’s an IGF finalist: The level of polish Armello presents is truly spectacular. On all fronts, it seems like it’s a solid game that flows well and is suitable for not-so-long play sessions best played with friends. Most notably though, it’s the visuals and the animations that drive the game forward towards a nominee spot (as seen below). Nominated in categories: Excellence in Visual Art. It’s still not out yet, but it sure as hell deserves a spot in the list of nominees. Surely, this is the best proof of games evolving and becoming mature enough to focus on the unfortunate realities of life (and death). 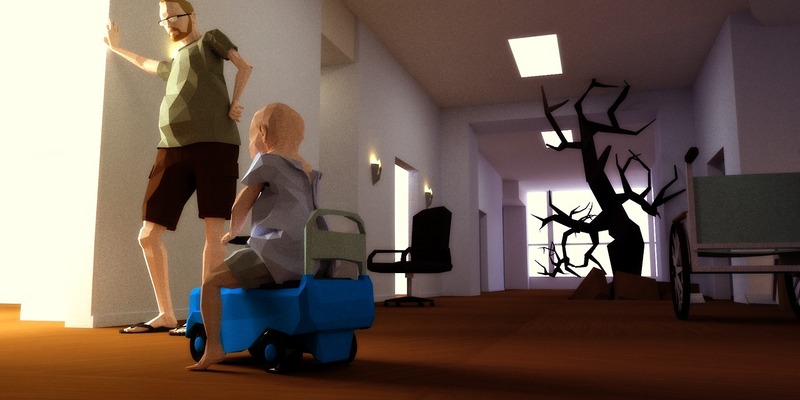 And with That Dragon, Cancer aiming to deliver the truly touching story of a video game developer’s son and his fight against cancer, many people won’t be ready, nor willing to play it. However, this hesitation is frighteningly motivating when thinking about the power of storytelling in games. Why I think it’s an IGF finalist: It’s very personal, based on real love and clearly developed as a way to connect with people in a brutally honest way. Crucially, this is a game that isn’t about being fun or challenging, and that fact in itself puts it on a different level that is worth all of the praise. On a side note, I also think that taking an open and sincere crowdfunded approach is the most logical thing to do for personal games like this. A game that got cancelled made it to the nominees!? Hold onto your horses, Billy. What actually happened was that the developers won 300,000 Krones from the Nordic Game Program fund, essentially having to cancel their Kickstarter project with a little more than half of its goal secured. 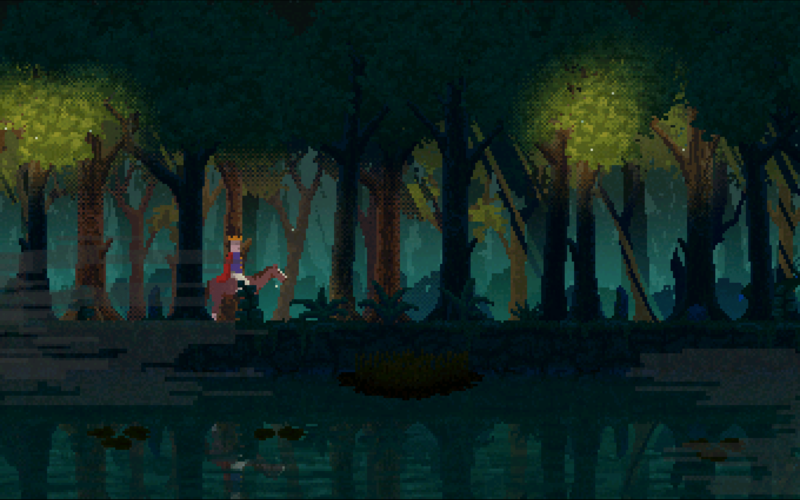 Anyways, it’s a sequel to a flash game from 2013 (current demo playable here) in which you ride a horse and try to survive. Personally, I love minimalistic graphics, plus it reminds me a lot of Superbrothers: Sword & Sworcery EP. Why I think it’s an IGF finalist: During the first few minutes of playing the game my horse got tired, resulting in my screen getting slightly dizzy in addition to my movement speed slowing down. What happened then? I was prompted to stand still on some grass, resulting in my horse starting to eat. No buttons pressed, simply go and wait for your companion to do his thing – I think simple moments like this are precisely why the game got nominated for the category listed below. Finally, it’s interesting to note that half of the Grand Prize nominees are Kickstarter protégés, those including Darkest Dungeon, Undertale and SUPERHOT. If that’s not proof for the strength of crowdfunding then I don’t know what to say to you. Kickstarter games or not though, there are some damn good IGF nominees this year. Think you know who the winners will be? Don’t hesitate to share your thoughts in the comments below.